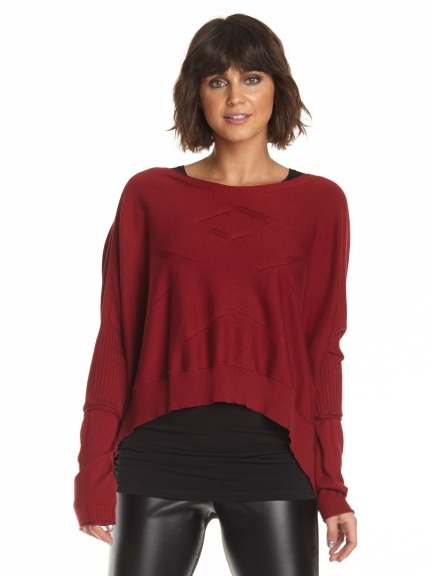 A loosely cut and cropped pullover from Planet features a wide, oval neckline with pointelle knitwork throughout body, unconventional draped long sleeves with ribbing and subtle gathered cuffs. Angled hems with small side vents. Made in Peru. *Please note that lower sleeve seam does not stretch.